Few experiences compare to the thrill of finishing an Ironman. The Ironman triathlon, consisting of a 2.4-mile swim, a 112-mile bike and a 26.2-mile run, is among the most difficult organized athletic challenges in the world. Competing in and finishing the Ironman represents an incredible achievement in endurance, both mental and physical. Even if you don't end up competing in an Ironman, the training regimen you'll adhere to along the way will whip you into the best shape of your life and help you to decide whether the Ironman is a realistic goal. 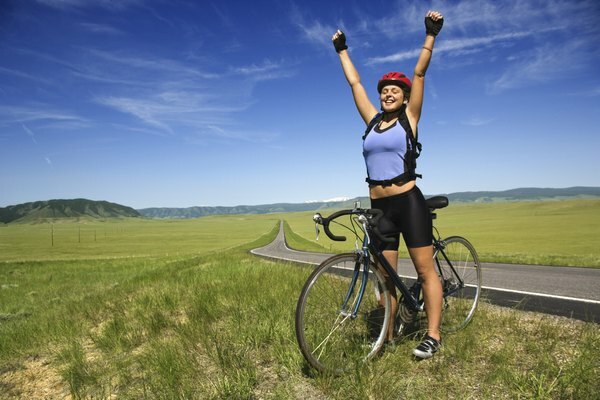 Achieve equal competence in swimming, cycling and running. 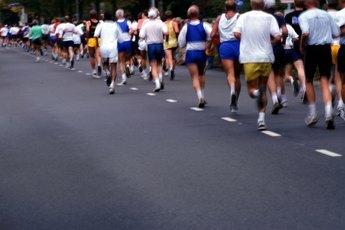 Each leg of the Ironman is so long and so grueling that it will be difficult or even impossible to finish if you assume that you can make up for poor swimming technique just because you're an excellent and experienced marathon runner, for example. Hire a coach to teach you the proper techniques for one of the three disciplines if you lack experience in it. Participate in several Olympic-distance or standard-distance triathlons, which include a .93-mile swim, 25-mile bike and 6.2-mile run. You should be finishing near the top of your age group in these events before moving on to longer triathlons and eventually the Ironman. Participate in a Half Ironman, also known as a long-course triathlon. This includes a 1.2-mile swim, a 56-mile bike and a 13.1-mile run. Remember that a full Ironman is exactly twice as long as a long-course triathlon, so an inability to complete a Half Ironman would be a sure sign that you're unprepared for the Ironman. Create a training schedule that has you working out at least five to six days per week. 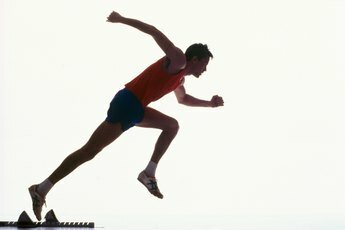 The initial weeks of a typical schedule might have you swimming 1,000 yards and biking 20 miles on Monday, swimming 1,250 yards and running 45 minutes on Tuesday, biking 25 miles on Wednesday, repeating Tuesday's workout on Thursday, resting on Friday, running 55 minutes on Saturday and biking 30 miles on Sunday. Increase the length of your workouts with each subsequent week of your training schedule. Plan on training for at least 18 weeks leading up to the Ironman event itself. Remember that training for an Ironman is just as much a mental challenge as it is a physical one. Techniques such as visualizing the completion of the race, training in adverse weather conditions intentionally, imagining the race as a series of smaller segments, gathering a support network and learning to manage pain through distraction will come in handy as you prepare. Gain clearance from your doctor before you start training for the Ironman and certainly before you compete.